With more than 25 years of experience as a global brand strategist, Anne is an accomplished researcher, writer and speaker, and the pioneer of the strategic framework of Brand Citizenship. A former executive director of strategy and planning and head of consulting at Interbrand, the world’s leading brand consultancy, Anne founded Onesixtyfourth, a boutique consultancy, to integrate cultural shifts and a social conscience into brand development. Her writings have appeared in hbr.org, The Guardian, Bloomberg News, and many other publications. Consumer expectations of brands continues to rise. They want the companies they do business with to not only “do good” and make the world a better place, but also to advocate on their behalf and make them feel as though they are part of a larger community or grander mission. Customers are calling for, yearning for–and paying for–a new business ethos that’s called Brand Citizenship. 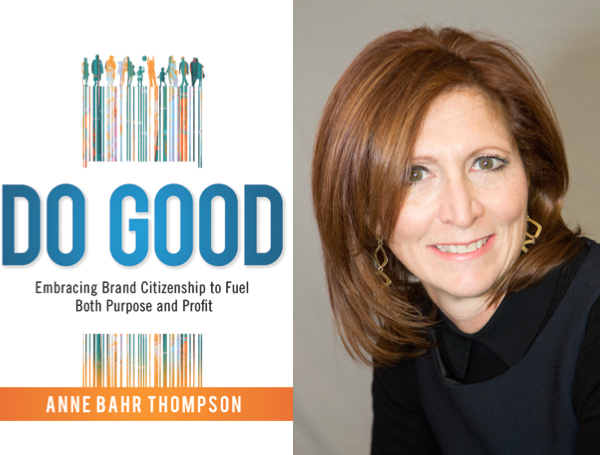 Over more than twenty years as a Fortune 500 global brand strategist and researcher, Thompson observed people continuously expecting more from brands and has coined the term Brand Citizenship. Years of investigation dedicated to deconstructing the shifting elements of brand leadership, corporate citizenship, and favorite brands through extensive research confirmed that customers unequivocally are demanding more value, more service, better ethics, and a greater focus on sustainability and social good. Do Good documents this sea change and explains how to embed social consciousness into a company's DNA.